Here is a great story I just read about paying it forward. A king went riding through the countryside to observe the conditions of his people. Passing by a field, he noticed a very old man. Although weak and obviously in great pain, the man was working hard planting date trees. “How long will it be before they produce fruit for your pleasure?” inquired the king. “These trees will not see fruit for at least twenty years!” was the answer. “What is your haste then? Surely you will not live to eat the fruits of the trees you are so diligently planting,” observed the king. The king was so pleased by this that he gave the man a gold coin. Pay it forward. 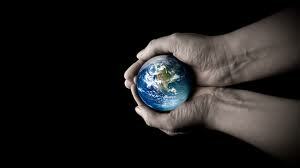 We don’t inherent our earth, we are borrowing it from our children. This entry was posted on Tuesday, November 19th, 2013 at 12:51 pm and is filed under Science of Getting Rich. You can follow any responses to this entry through the RSS 2.0 feed. You can leave a response, or trackback from your own site.